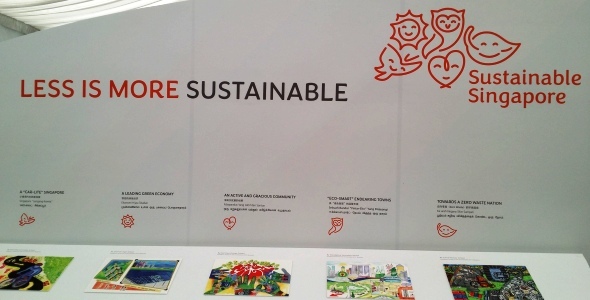 As we reach the final day of our SG50 celebrations in 2015, what kind of sustainable future would we hope for in SG100? The government is already starting a series of SGfuture engagement sessions to gather thoughts from stakeholders. To me, my vision of a sustainable future for Singapore in 2065 is made up of 4 key economies: sufficiency economy, circular economy, sharing economy, and green economy. The sufficiency economy is one where consumption is based on having just enough, and being simple and modest. Our overconsumption and accumulation of more or branded stuff is not sustainable. In a sufficiency economy, we focus on meaning (experiences and relationships) rather than means (money and stuff). There is also a shift towards being more sufficient in our national water, energy and food supplies. 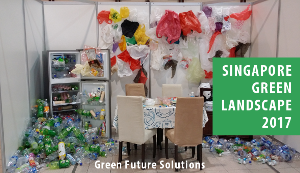 The circular economy means that we move away from our current linear model of take, make, use and throw, to a circular model where waste is circulated back into the economy as technical or biological nutrients. In a circular economy, we rethink how products are being designed and made; we shift business models from selling products to selling services; and there are relevant government policies put in place. It also involves reuse, repair, sharing, redistribution, remanufacturing and recycling. The sharing economy (or collaborative economy) involves the sharing of physical and non-physical assets and resources, which is empowered by technology and social and peer-to-peer networks. Sharing also includes renting, swapping and giving. It focuses on access rather than ownership, and enables utilisation of idle or excess capacity. In a sharing economy, there is sharing of spaces (accommodation rooms, co-working offices, storage spaces, etc); transport (carsharing, carpooling, on-demand drivers and vehicles, etc); items (rental of stuff, giving away stuff, waste exchange, etc); and skills and money (crowdfunding, peer-to-peer investment, on-demand services, online courses, etc). The green economy is about reducing environmental impacts from businesses, greening buildings and people, and protecting our nature and biodiversity. The green economy is what we are currently doing. For the last 50 years, I think Singapore has done well to develop a green economy. Over the next 50 years, let us start developing our circular economy and sharing economy, and most importantly, our sufficiency economy.